Select Pkg. 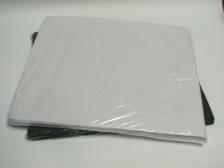 of 50 Sheets White 16"x18" Case of 350 Sheets White 16"x18" Pkg. 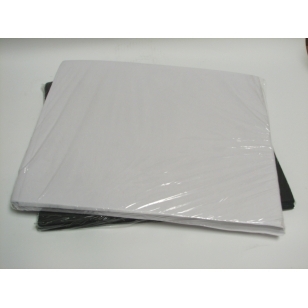 of 50 Sheets Black 15"x18" Case of 350 Sheets Black 15"x18"
Medium density spun-woven test cloth for image proofing and press setup and register. 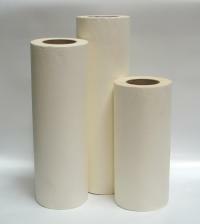 Available in both white and black, in 50 sheet packs and 350 sheets per case.